Renewable case studies from around Lochaber can be viewed by clicking here. 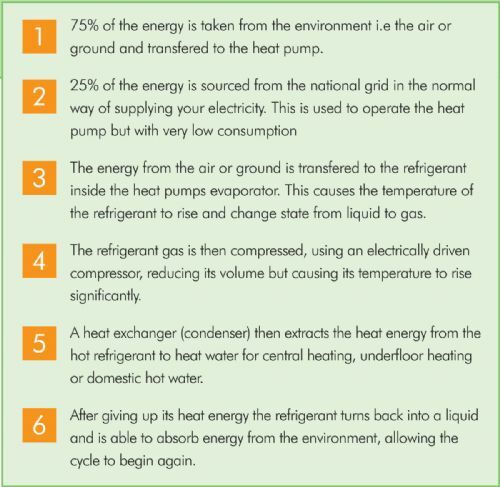 All heat pumps work on the same principle, by extracting solar energy stored in the ground, air or water. The solar energy is supplemented by electricity to reach required temperatures for domestic hot water and central heating. The CoP improves dramatically when the heat source temperature is higher, and also with lower demands on the heat distribution temperature, which is why they are extremely compatible with underfloor heating systems which work efficiently at lower temperatures than radiators. • Be aware that if the water source dries up then there is no longer heat. 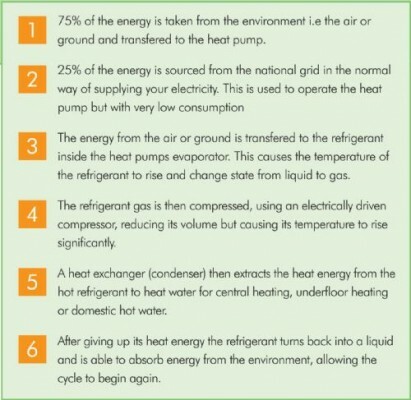 RHI payments will be made for ground and air source heat pumps, but they must be installed by an MCS approved installer.